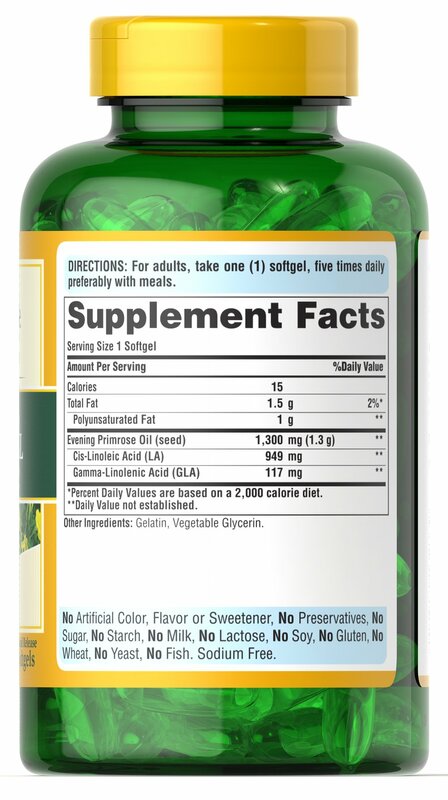 These easy-to-swallow softgels are a natural source of GLA (Gamma Linolenic Acid). 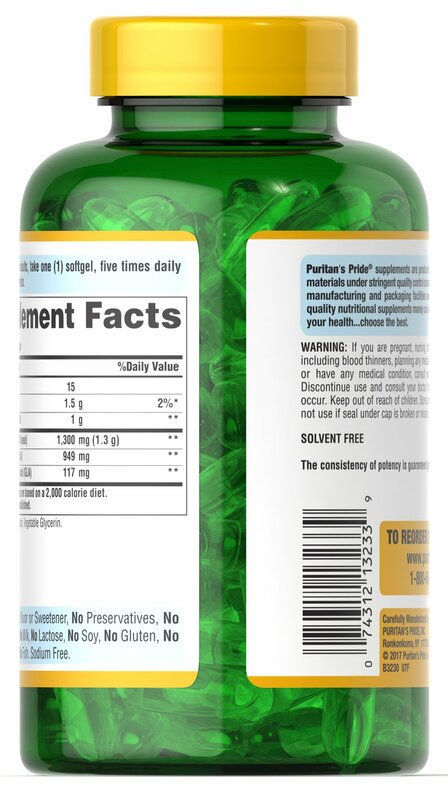 Our EPO contains one of the most biologically active forms of this Omega-6 fatty acid available today. 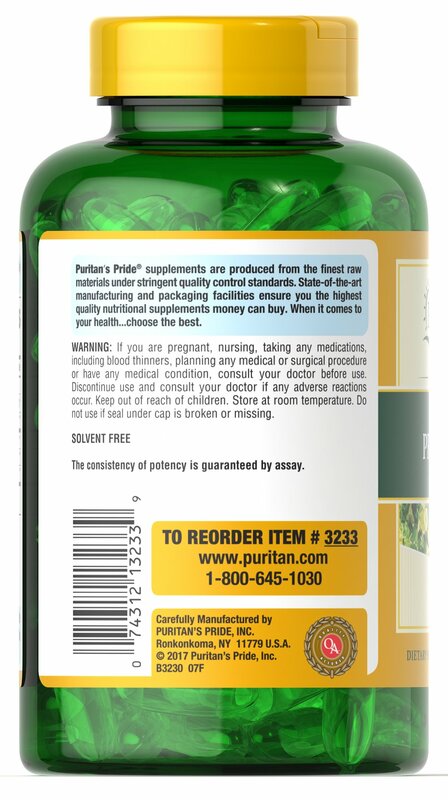 The EPO used for Puritan’s Pride is 100% pure, solvent free, cold pressed and void of hexane and other solvent residues. 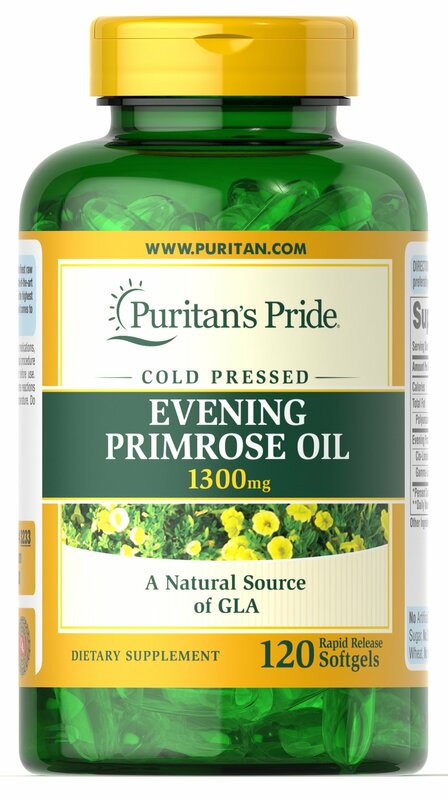 All three potencies (500 mg, 1000 mg, or 1300 mg) deliver 9% GLA content, which helps to deliver an amount of GLA needed for achieving beneficial results.